This was the most common question I was asked by curious coworkers, family members, and strangers upon learning of my endeavor to hike the AT. Now that the Big Day is just around the corner, the little voices in my head asking me the same thing are getting progressively louder. This hike has taken months of preparation and planning- down to every tenth of an ounce. 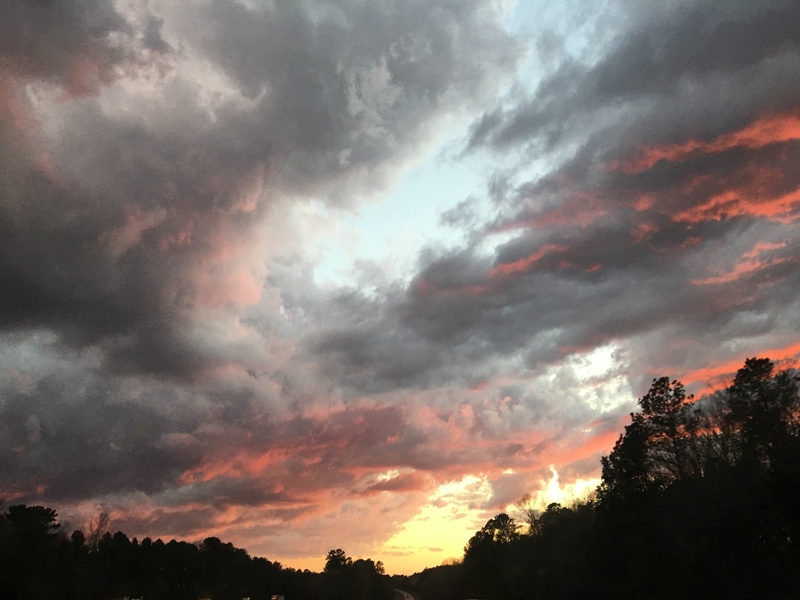 As my husband and I drove the 10 hours down to Georgia, we were caught in a brief pelting of storm clouds and rain. The rain smacking against the car only served to heighten my fears, reminding me that the next time I see rain drops they’ll be dripping down the back of my rain jacket instead of the car roof. As if just a brief test of my commitment, the rain stopped after only a few minutes and the sky proceeded to turn brilliantly orange-red with the sunset. What a nice reminder that some things are worth waiting/suffering for.